What a lovely gift! This beautiful Debora Carlucci Crystal 10 inch bowl will make a wonderful wedding or bridal shower gift, or an addition to your own collection. 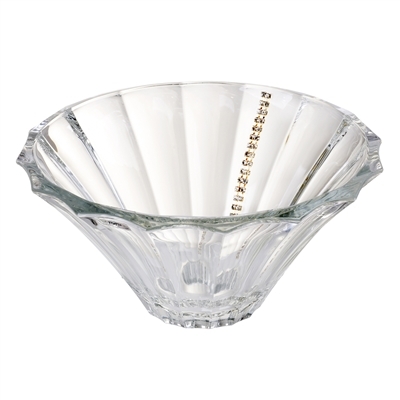 Perfect for displaying glass gems or a floating candle, this classic bowl is the epitome of every design inspiration for which Carlucci crystal has become world famous.